It’s been almost seven years since the travel bug got stuck in my feet and all these years my way of travelling and approach to look at the countries has taken substantial shifts. I am not the traveller that I was in 2010; I find warmth in slow travel. I like to live in a country instead of a few days of looking around (given a chance). 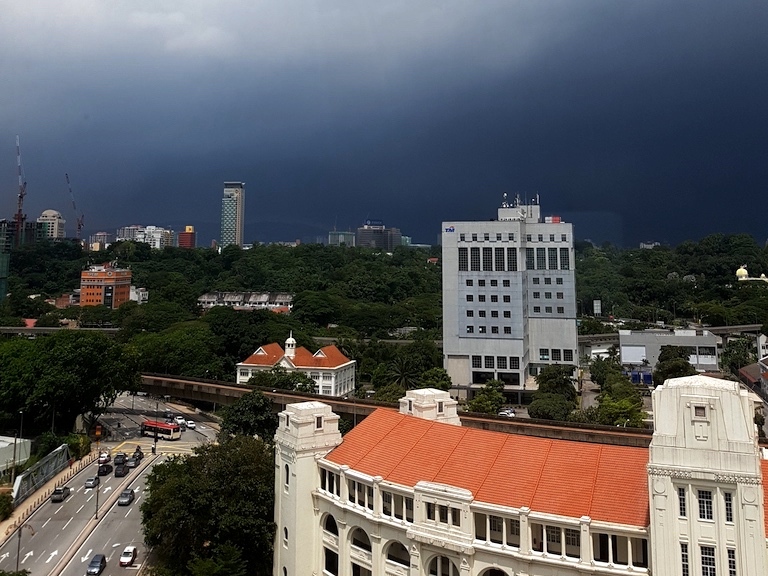 I have spent nearly four months (on-and-off) in Malaysia now, and to tell you the truth, I whined about it at first. 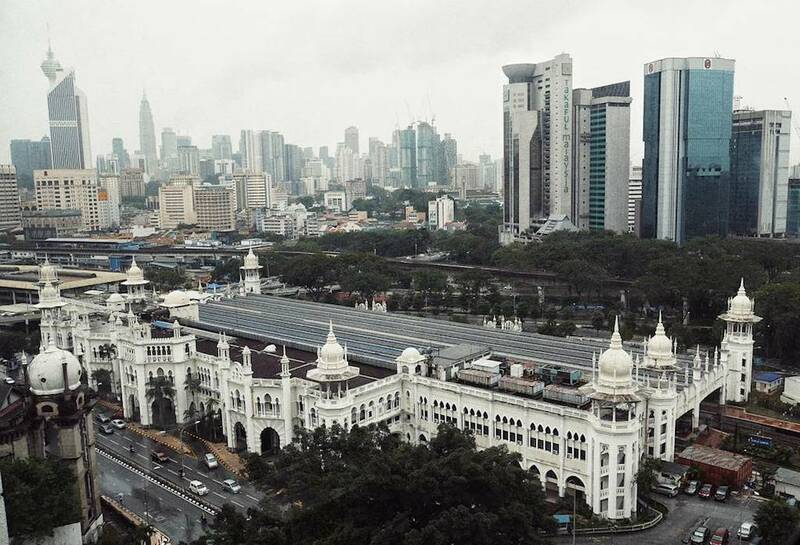 The urban jungle and overpowering religion in Kuala Lumpur stifled me. However, the traveller inside me, didn’t want to give up so easily, so I decided to make efforts to travel on my own to the places hidden in its creases to perceive the unobvious. A rushed trip to Batu Caves or Langkawi or Penang will never bring you back to Malaysia, the key to savour this country is to travel slow. If you are contemplating changing your whereabouts for a while, I have nine solid reasons why you should choose Malaysia. The first thing that goes unnoticed in Kuala Lumpur is its apparent mosques. It may appear that Islam shadows everything but deep down, it is a thriving multicultural and multi-racial society. People are free to choose their religion and practice the way they like. Centuries ago, Chinese and Indians from the southern parts arrived here in pursuit of trade and settled for good. These people embedded their culture intricately in the society that is still distinctively visible. Malaysia is home to indigenous tribes known as ‘Orang Asli’ in Peninsular Malaysia and ‘Orang Ulu’ in Sarawak in East Malaysia. You can gain an insight into their living by staying with them. You can grasp this only when you are not racing against the time and ticking off your bucket list. If you belong to a country where hitting the road is not available then welcome to Malaysia – Road Tripping is certainly the best way to see this country. Both car rentals and petrol are available at economical rates. Therefore, nothing should stop you from taking advantage of Malaysia’s superb tarred roads. Its reasonable size let you explore beyond the travel guide books. Chase the sun on the long stretches of multilane highways lined by palm tree plantations on both sides. Hire a self-drive car and let your whim take you to an unknown destination every weekend. 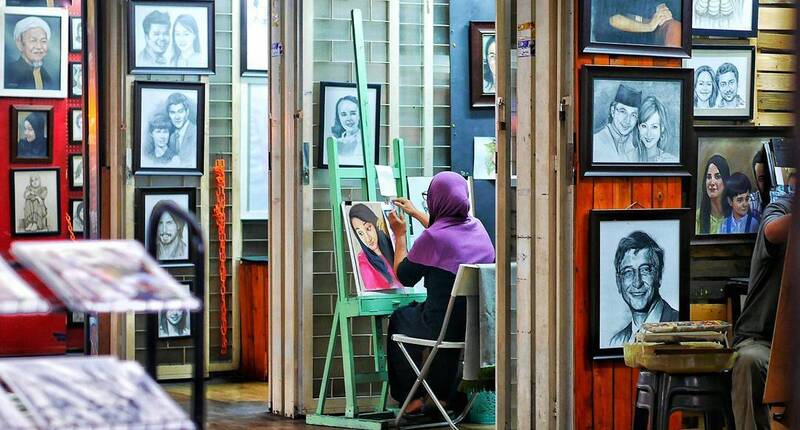 Malaysia’s broad ethnic mix and colonial past make so many towns worthy of a visit, for instance, Kuala Lumpur gives an impression of a modern metropolis, but as you unfold its layers, it reveals its evocative side. Same can be said for the smaller towns viz. George Town, Ipoh, Melaka which are the treasure trove of history and culture. The topography of Malaysia is such that it offers so much variation to a travel enthusiast and you can only take advantage of it on slow travel. 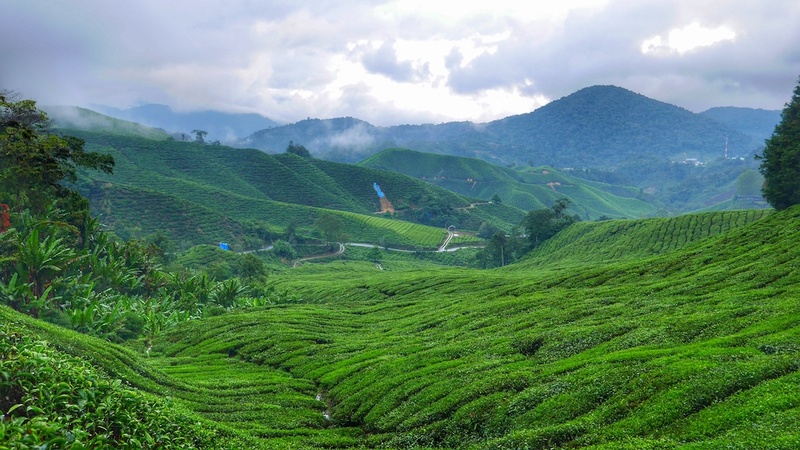 In just 3 hours of drive from Kuala Lumpur, you can touch the hills in Cameron Highlands surrounded by tea plantations. The stunning islands on the fringes of the peninsula will turn you into a beach bum for life. The azure water is still suitable for exploring the abundant marine life. Exploring the thick forests of Borneo – which by the way is one of the oldest rainforests in the world – is for those with adventure streak. Various staycations around the country are just perfect for the weekends. Malaysia is not unfamiliar with the cuisine of the countries far and near. It is not too hard to find Japanese Yakitori or Peruvian food in the capital city. From local eateries to Michelin-starred restaurants, you can have both extremes of the dining spectrum. 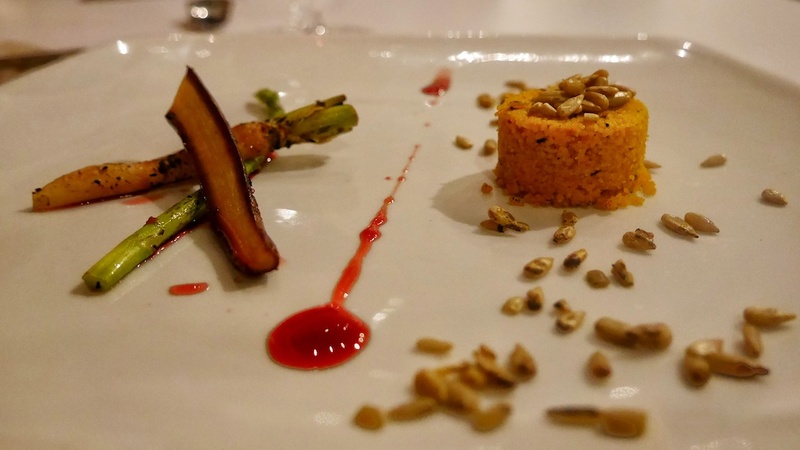 Vegans and Gluten-free menus are as ordinary as Nasi Lemak – the Malaysian staple. Oh! I read about a restaurant in Kuala Lumpur that caters to Paleo diet. Ta-da! The point is that if you love food, you wouldn’t feel bereft of your passion, Malaysia would only enhance the food experience. Continue to eat out every weekend, this time at the much lower prices. Are you struggling to make ends meet in an expensive country? If nothing else, Malaysia will infatuate you for its considerably low cost of living. It is a crucial factor to consider when spending days in a country – how much am I going to spend daily on an average? 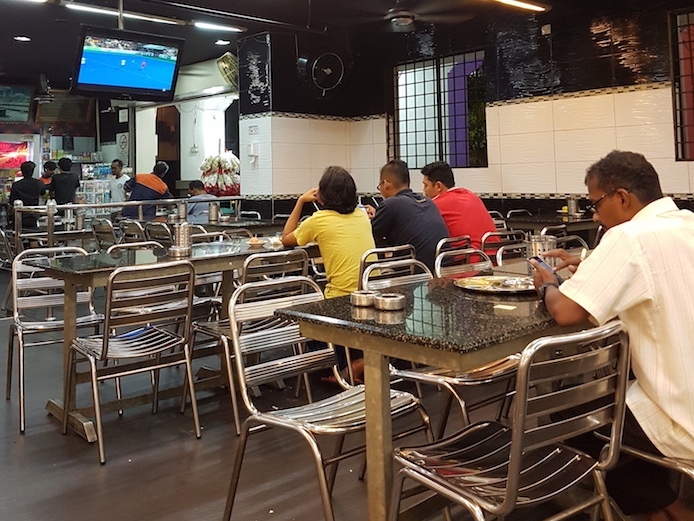 A sumptuous meal at a local restaurant costs less than US$2; public transport, less than US$1.50, and a taxi ride ranges between US$1-2 for about 2 km distance and a cup of coffee in a café is US$2. To sum up, your roughly daily spending on food and transport will be between US$8-10. The rentals are equally cheap. I know people who come from Singapore to Malaysia just to get their nail art done, simply because it is 1/3rd of the price. I too take advantage of its low costs and buy my weekly groceries when heading back to Singapore. Malaysia has impressive connectivity. 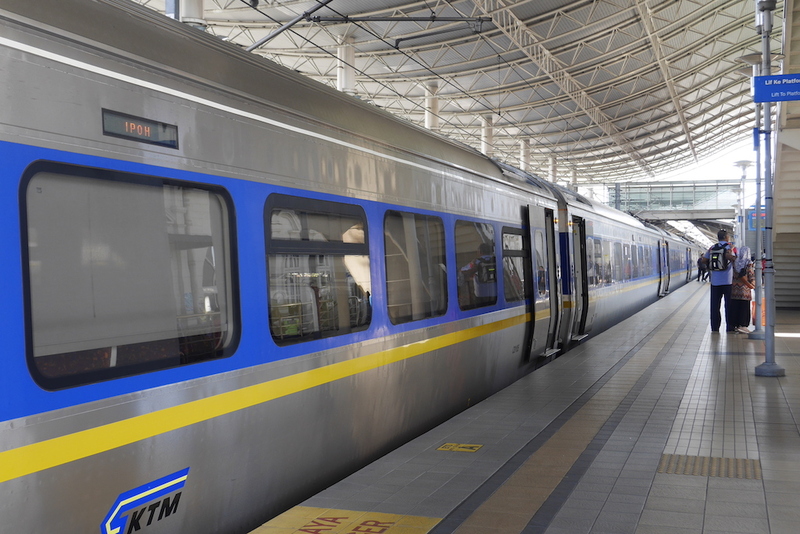 Its intercity transport is user-friendly and again, so cheap! 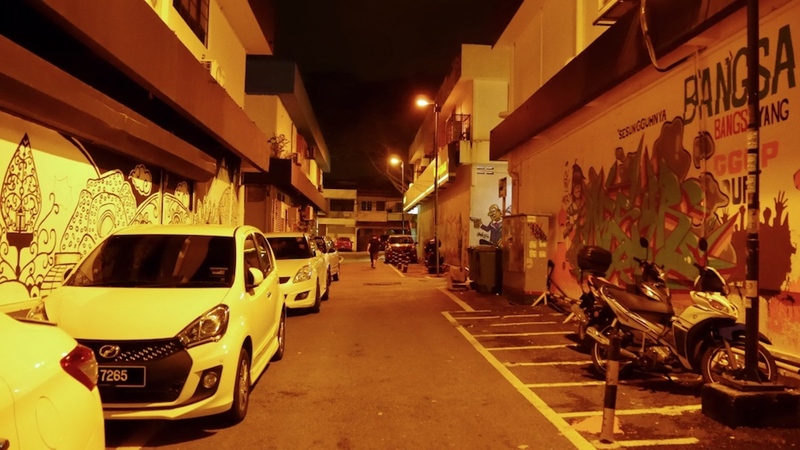 Most of the towns in Peninsular Malaysia are reachable by the country’s rail network known as KTM Berhad, and the towns located on the islands are either reachable by buses or ferries. Malaysia’s biggest no-frill airline network AirAsia connects the main island to Borneo at costs as low as RM20 if booked in advance. Most importantly, the whole process is trouble-free – the tickets can be easily booked online. It is also why it is a perfect destination for a solo-traveller. Getting stuck in an obstinate traffic is not a pleasant feeling. If you have been to New Delhi, Manila, Jakarta, Bangkok or Hanoi, you can relate to this – You don’t want to spend half of your life stuck in a perpetual gridlock, do you? I have missed flights in New Delhi and Bangkok even after keeping time buffer. People have a good driving sense here, so only rarely will you find someone disrupting the beeline. The country’s dynamic road structure leaves no room for frequent traffic congestion. The multilane highways in Kuala Lumpur take you out of the city in just 10 minutes. It is so comforting when Google shows estimated time to reach point B from point A is ten mins, you arrive in 10-12 minutes. I am assuming you like summers all throughout the year. Coming from a hot country, I find respite in the warm weather of Malaysia. Located slightly above the Equator, the climate is warm countrywide, but it is not blistering hot that leaves you sluggish for the whole day. On an average, the temperature rises to 30°C which is interspersed with intermittent rain showers making evenings pleasant. It is warm and humid all around the year, but honestly, it grows on you as you start living in this region. Never take your safety for granted. It is best to gather information about the scams and tourist traps before you land at a new country rather than leaving with bitterness in your heart for that country. Coming from Singapore which currently ranks 9th on the safety index, I am vigil all the time in Malaysia. Other than motorbikes accidents on highways, I have never come across any unfortunate incident happened to me personally. Malaysia ranks 18th on the world’s safety index which is still better than many countries. As long as you apply your wits correctly and mind your own business, things are unlikely to go against you. I haven’t seen everything here, but whatever I have, there is a change in my opinion after having lived here for a while. Initially, the cab drivers used to tell me “Oh! You from Singapore, it is a nice country”, and I used to agree with them, but now I say “Malaysia is equally good”. If you are looking to plan Malaysia, reach out to me for suggestions and travel planning.